The Teddy Bear Girl Hidden Camera is the perfect device to protect your young ones. 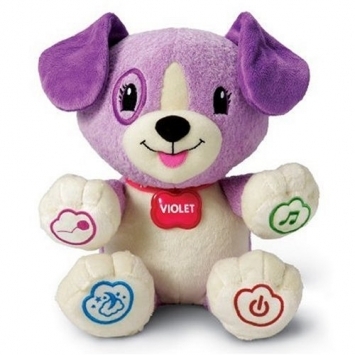 This dog comes in violet. Whether you are making sure your child is staying out of trouble or keeping an eye on the babysitter, no one should suspect that this harmless stuffed dog is watching them! Quality video. Records VGA quality (1280 x 960) video. Either record continuously, or use the motion detection setting. See our sample video below.